Funny how coincidences work out sometimes right? 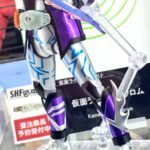 Just yesterday we posted our gallery of S.H. 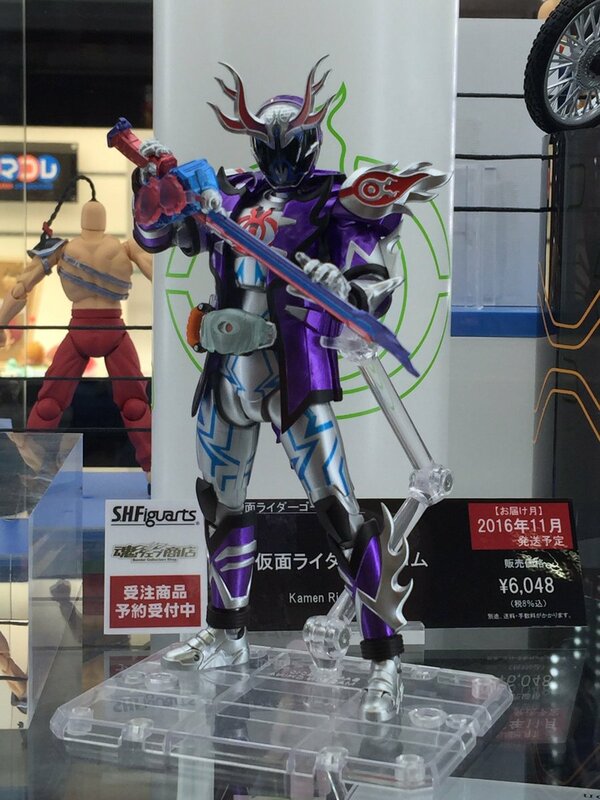 Figuarts Kamen Rider Specter, and less than 24 hours later we have our first look at S.H. 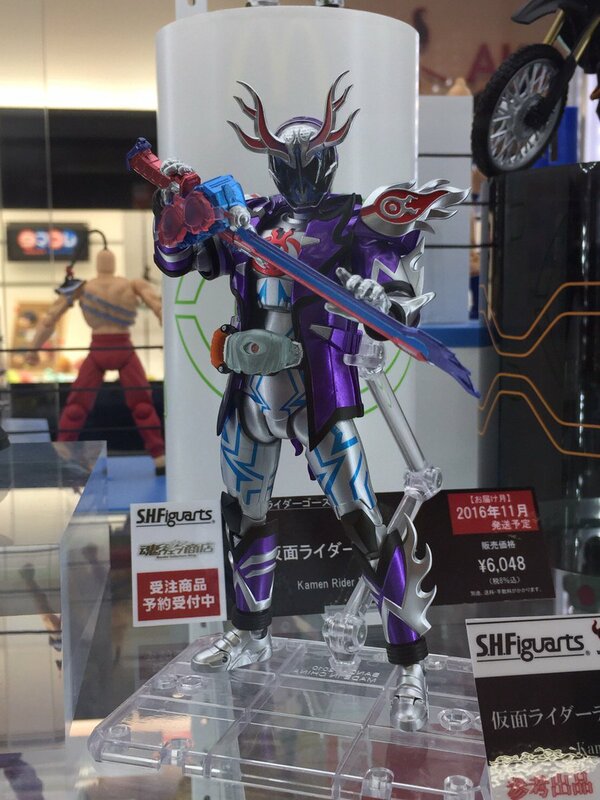 Figuarts Kamen Rider Deep Specter! 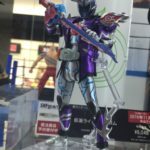 These images come courtesy of a number of twitter users taking photos at the Tamashii Nations Akihabara showroom. 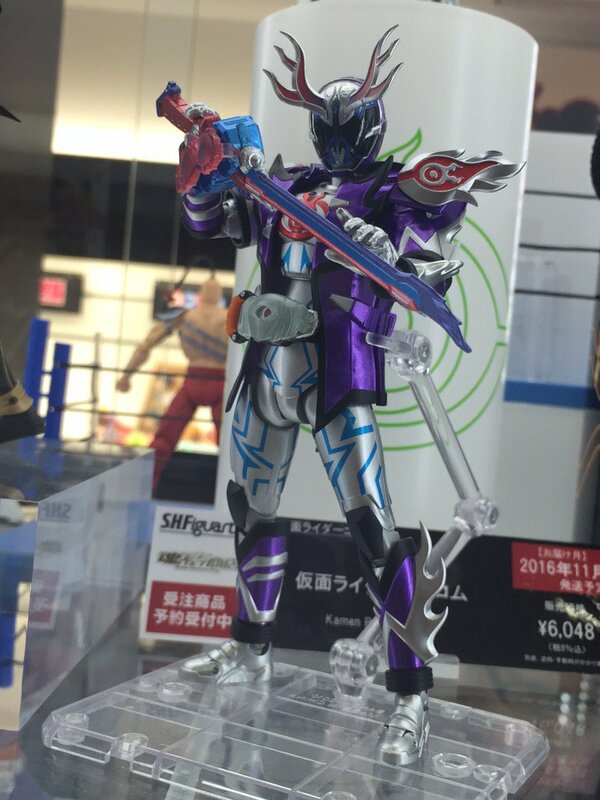 Deep Specter looks like a very slick release that includes at least his personal Deep Slasher weapon. 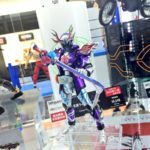 It’s very likely this release will include 2 Eyecons for use with it much like S.H. 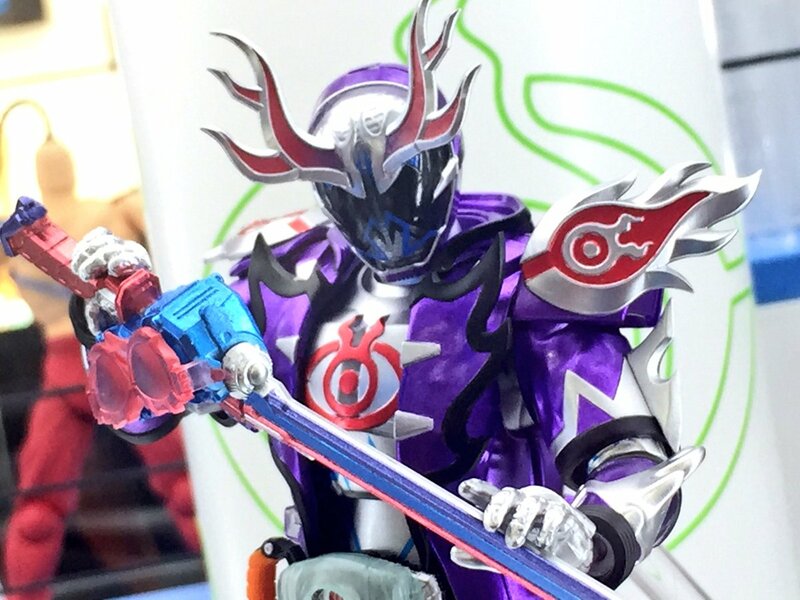 Figuarts Toucon Boost. 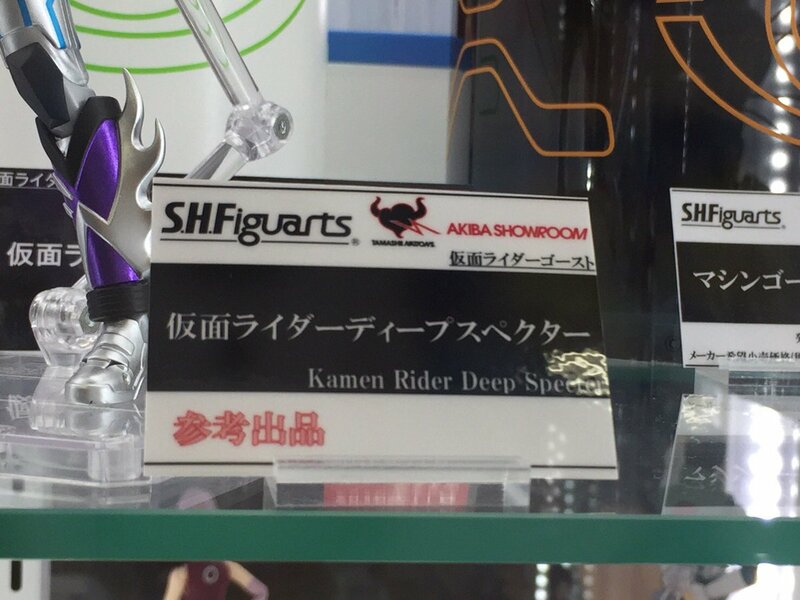 For now we don’t have confirmation on release details but we can likely expect Deep Specter to be a Tamashii Web Exclusive. Don't care, especially not at the Web-Exclusive price point. 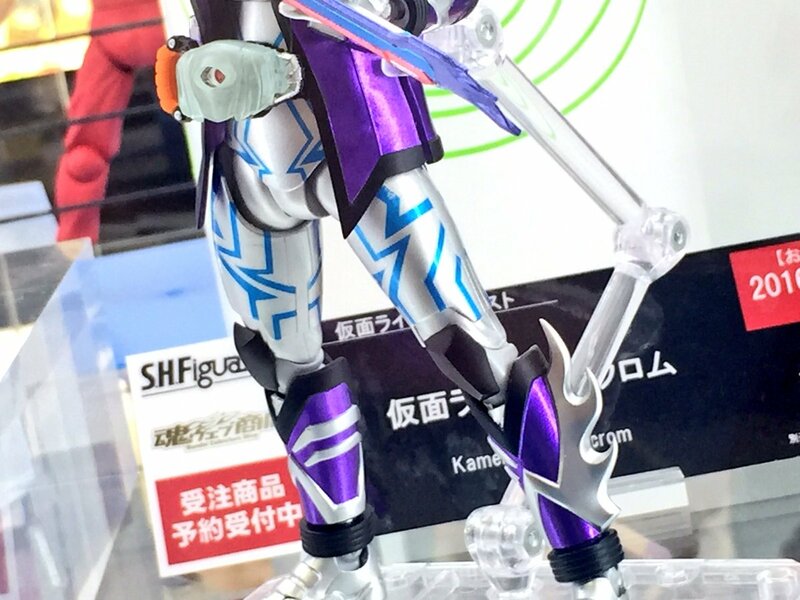 I do wonder though if they will include spectral wing effect parts or ignore it. 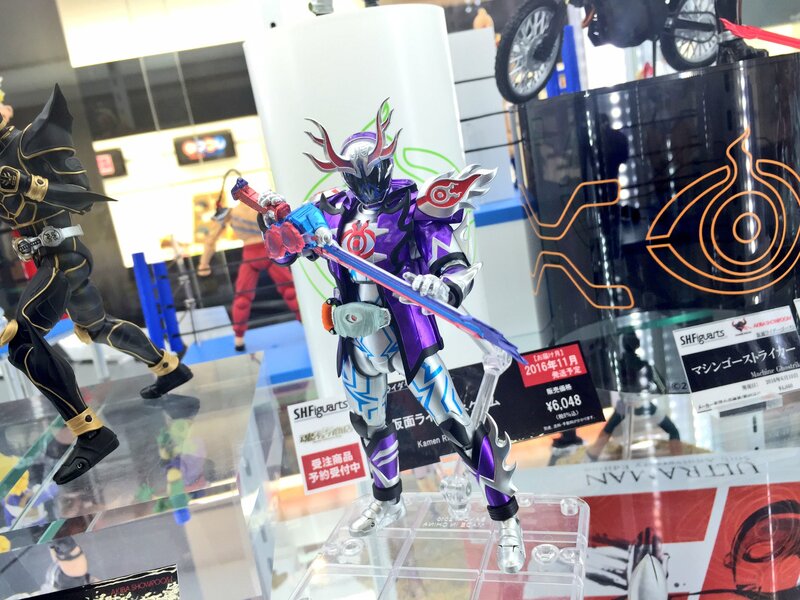 Or worse, release another accessory set. 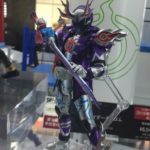 So...Bandai will release Deep Specter Figuarts? 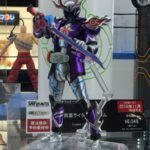 Well, it's not like I need to keep my money. 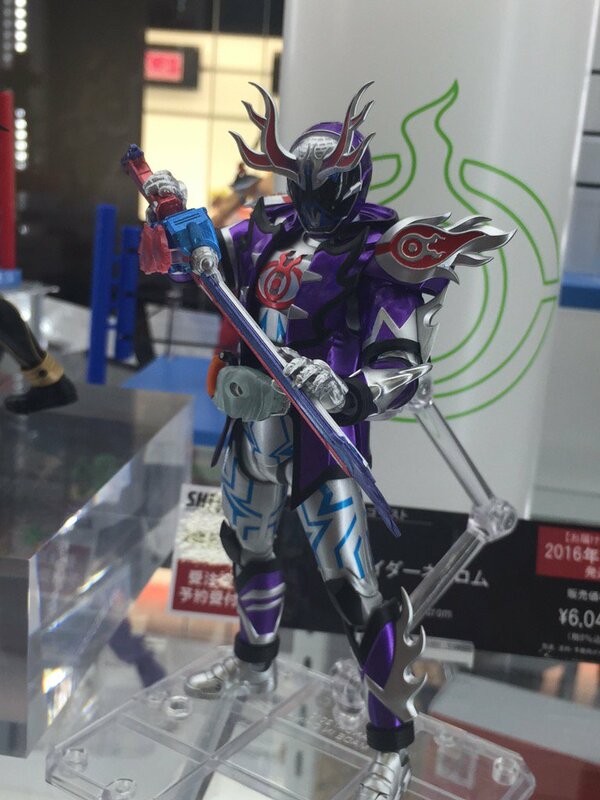 Told myself I wasn't going to get any of the upgraded forms from Ghost, but damn that's Deep. 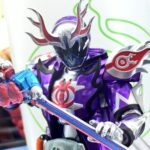 I love so many of the designs in this show, even if I don't yet know their context haha.